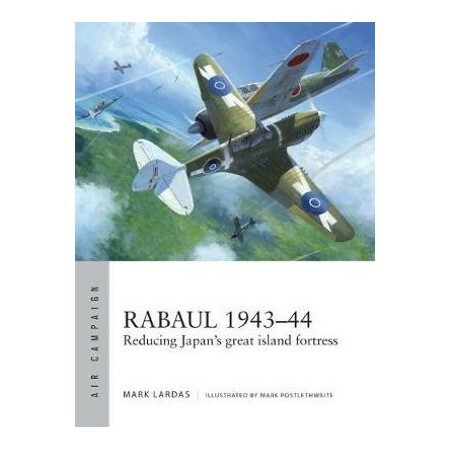 In 1942, the massive Japanese naval base and airfield at Rabaul was a fortress standing in the Allies ' path to Tokyo. It was impossible to seize Rabaul, or starve the 100,000-strong garrison out. Instead the US began an innovative, hard-fought two-year air campaign to draw its teeth, and allow them to bypass the island completely. The struggle decided more than the fate of Rabaul. If successful, the Allies would demonstrate a new form of warfare, where air power, with a judicious use of naval and land forces, would eliminate the need to occupy a ground objective in order to control it. As it turned out, the Siege of Rabaul proved to be more just than a successful demonstration of air power it provided the roadmap for the rest of World War II in the Pacific. Mark Lardas has been fascinated by things related to the sea and sky his entire life. From building models of ships and aircraft as a teen, his maritime interest led him to study Naval Architecture and Marine Engineering, but his interest in aviation led him to take a job on the then-new Space Shuttle program. Over the next 30 years he worked as a navigation engineer on the Shuttle program. Currently he works developing commercial aircraft systems as a quality assurance manager. He has written extensively about aircraft and warships and is the author of 25 books, all related to military, naval or maritime history.